That product code doesn't exist on Amazon US, but I found a two pack (http://amzn.to/2tAX4Rw ) and a ten pack ( http://amzn.to/2tv2VaC ) under various other names which seems to be the same thing. Weirdly, these are more expensive per counter than the UK pack. This is intended to be worn as a ring. Alas, personally I found it got in the way when I was using it for knitting. It is, however, a nice little electronic tally counter that will be very useful as long as I have somewhere to put it down (or wear it on a cord around my neck). The one I received was well made. It's very light, the count and reset buttons have a good positive response, the reset button is much smaller and needs more force than the count button so you're unlikely to press it by accident, and it has an adjustable flexible plastic strap. The screen blanks to save power when it isn't used for a while, but it retains the last count. The battery is included (and indeed there is no simple way to change it). The main potential drawback that I can see with it is that the only reset option is to zero it, whereas the mechanical row counters can generally be adjusted to a different number. Prices vary wildly on Amazon depending on seller and brand name, and as far as I can see they're all the same actual item. I paid 67p for mine, the same item has gone up to 82p a month later, and there are entries under other product codes at ten times that price. Amazon UK: http://amzn.to/2t0Bu4q Amazon US: http://amzn.to/2u5BZiA There are also multi-pack offerings which would be useful if kitting out a class. Having another one of my bouts of blocking writers who follow me on Twitter purely by coincidence as they're pushing their latest books. One of the reasons I *don't* follow the marketing advice pushed at writers to follow everyone on every social network under the sun is that I know how I react to it as a reader... I suppose I shouldn't block people just because they've followed 10k accounts and have only 1k following them, because it gets *my* follower count up and makes me look less like a spammer myself when I follow someone because they're interesting. I just have the occasional bout of Being Annoyed by this nonsense, particularly when there's a bout of the spam. I swear there are Kindle self-pub groups out there reinforcing each other with daft promo ideas one of them's picked up somewhere. Right, have some suggestions from Amazon UK's latest ebook deal newsletter. These are all under £2 at Amazon; most are also on offer at Kobo. Penguin Modern Classics seem to be having a sales binge so it's worth trawling through the rest of the deals list if you like their catalogue. As always, check the price before clicking the buy button. I know some of you do find these posts useful for flagging up stuff to have a closer look at. I put in the covers this time because there were a couple I specifically wanted to show. Is it useful to see the covers, or does this make the post too unwieldy on people's flist? John Wyndham - The Day of the Triffids - in a Penguin Modern Classics edition, with the newest cover art by Brian Cronin. The art's a good match in tone/period feel for the book, but I still think of Harry Willock's reverse colour line drawing cover art of the 1970s as the ur-cover art for Wyndham, just as Tom Baker is My Doctor. I have provided the title exactly as given on the Amazon and Kobo pages. Yes, I am easily amused. Non-fiction from one of the greatest crime writers of today. One for the writers, but also of general geeky interest. Lewis's collection of radio broadcasts setting out the case for Christianity. Another acting memoir. Haven't looked at the sample yet, but if Robinson's any good at writing prose, this is probably going to be interesting. Orwell's non-fiction is as important, and as topical, as his fiction. Haven't read this in at least thirty years, but I suspect I would still find it equal parts horrifying, terrifying and laugh-out-loud funny. It's only just occurred to me that this book pressed some of the same buttons for me that Iain (M) Banks would some years later. The other comment I've got on the Symfonie modular needles is that the 7mm pins are significantly longer than on the fixed pin Pony and Prym circular needles I have in the same size, so although the Pony and Prym versions work perfectly well in the 40cm length, these do not. There's a bit too much of the length that is rigid. Having had a look online, it seems there is a special short version of the pins to use with the 40cm cable, which is obviously Not What I Have Got. Given that I have a specific use for the 7mm 40cm circular needle (twiddlemuffs), this is a bit of a nuisance. They do, however, have a nice feel to them. I'll need to try them for a bit, but I'll probably end up getting more of these needles once I want longer length circulars. I'll be checking each individual packet for Assorted Problems, though. I've been wanting to get some stuff from the wool shop anyway, and the email announcing some interesting specials this weekend for Knitting In Public Day was a good incentive to drag myself out of bed and into the rain first thing this morning. I was so early the shop was still opening up as I arrived. Alas, I spent a little too long nattering to the woman in the shop, and missed the bus home by about 1 minute. It was early enough in the morning that the next bus wasn't for another forty minutes. Because I'd got to the bus stop less than half a minute late and hadn't seen the bus anywhere further up the road, I had to wait ten minutes or so to be certain I really had missed the bus and that it wasn't just running late. I'd left my Kobo at home to save weight in the backpack. My phone battery turned out to be dead. Both pennames have a book up for grabs this week in the summer party at The Romance Reviews. 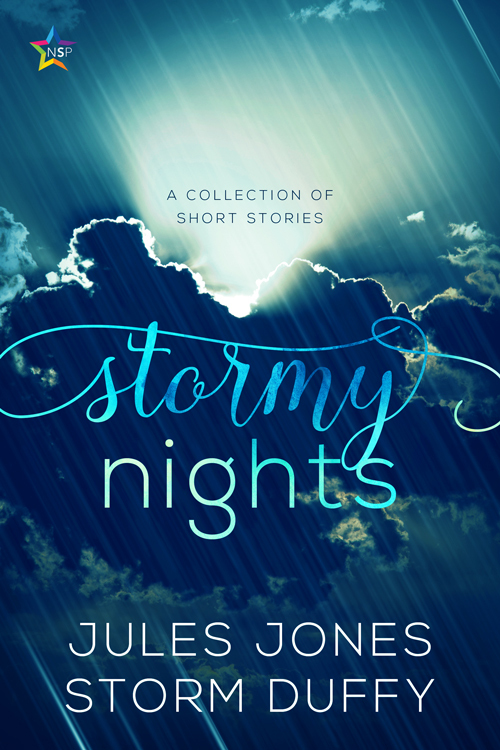 On Tuesday (US east coast time) Storm Duffy's short story "A Collision with Reality" is one of the daily prizes, and on Wednesday Jules Jones's Spindrift is one of the daily prizes. There are lots of other prizes over the course of June, so anyone looking for a free romance read should head over there. No, I was not in the city centre last night. I used to use Multifox, a useful little add-on for Firefox that allowed you to use multiple identity profiles in Firefox. This meant I could allocate tabs to different identities so I didn't have to log out of one and back in again for another on various sites - for example, having a set of tabs open for my wallet identity while also working on my pen names' Twitter accounts. Multifox was pulled by Mozilla from the available add-ons a few months ago (the writer surmised because it wasn't compatible with some new protocols). This made me sad, but a spot of googling last week turned up the information that Mozilla have been working on similar functionality in the form of Containers. Containers let you create profiles in Firefox for all of your online lives. Custom labels and color-coded tabs help keep different activities — like online shopping, travel planning, or checking work email — separate. Because Containers store cookies separately, you can log into the same site with a different account in each Container, and online trackers can’t connect your browsing in one container to another. So you can keep your shopping self separate from your social self from your work self, without worrying about being followed around the Web. The Test Pilot things are added onto a standard debugged release of Firefox, but for those who really like living dangerously a version of Containers is also available in Firefox Nightly. I've only been playing with it for a few days and haven't really explored everything I can do with it, but I like it so far. There are several other Test Pilot experiments on the go at the moment - I've also installed Snooze Tabs, although I haven't really done anything with it yet. I think it's one some of my friends would find useful. Haven't posted one of these in a while, because I haven't posted much at all. But the latest Amazon UK "buy our ebooks" is a "start a series from 99p" promotion, and I spotted a couple of books that might be of interest. Some are also price-matched on Kobo UK, and possibly other online retailers. Do check the price before you click the buy button, because it can change. Agatha Christie's "The Murder at the Vicarage", the first of the Miss Marple novels. £1.49 at Kobo and Amazon. I'm in the middle of re-reading this right now, because it was there on my Kobo when I wanted some cheerful murder. "The Long Earth" by Terry Pratchett and Stephen Baxter - £1.99 at Kobo and Amazon. "The Atrocity Archives: Book 1 in The Laundry Files" by Charles Stross. If you're an sf&f fan and haven't read this - buy this book. And not just because Charlie's a mate of mine from sf writing circles. It's the start of a series in which the eldritch horrors of Lovecraft are all too real, and one of the UK three letter agencies is devoted to putting off the forthcoming invasion for as long as possible. Charlie lovingly pastiches various spy, mystery and thriller series along the way. (There was much squeeing amongst the crit group for a later novel when we realised that we were reading a chapter starring avatars of Modesty Blaise and Willie Garvin.) £1.49 at Kobo and Amazon. "The Vesuvius Club" by Mark Gatiss. Yes, *that* Mark Gatiss, written before he became much more famous for his scripts than his novels. Edwardian derring-do, with more than a little tongue in cheek, in multiple senses. 99p at Amazon only. In light of the recent changes in the LiveJournal Terms of Service, and the manner in which they were implemented, I'm moving to Dreamwidth. For now I will continue to cross-post, but I intend to turn off comments on the LiveJournal copy. I've already changed most of the existing posts on LJ to friends-only. I will probably intermittently friends-lock the LJ mirror of posts going forward, not least because I see no reason why I should provide content now LJ shows advertising on my posts to readers who arent logged in even though I have a paid account. I have a paid LJ account with a year of credit and I don't intend to delete it entirely for some months, in part because it allows me to do maintenance work on communities and RSS feeds for myself and others. (For example, I was the last mod standing for the LiveJournal copy of Bearing Witness, so I've done the necessary working on transferring it to Dreamwidth and shutting down the LJ mirror.) You should, however, assume that this LiveJournal account may not be here for much longer. If you're staying on LiveJournal only, or using it as your primary feed, please follow the RSS feed for my Dreamwidth account. Lots of my friends have moved, but I haven't tracked down everyone on Dreamwidth yet - please comment if you want to let me know where/who you are, including if you're staying on LJ so I can make sure I have your feed on my DW following page. Posting via teeny tiny screen on phone, so more later. Working Green Room much of weekend so DM or tweet me at twitter @bookfetishist or email me for meet up. If you have my mobile, it hasn't changed. I'm julesjones on both LJ and DW. I've been reading primarily via LJ friends view for years because that's where most of my friends are. There appears to be a critical mass moving to DW as their primary interface now, so I'm changing over as well. I don't normally lock down comments, so LJ users can comment anonymously on DW even if they don't have OpenID set up.